North America is abound with interesting tales of the various forms of cryptid life that inhabit the continent. All over the world, similar stories can be found that exhibit the potential for various rare and strange creatures to exist and thrive in the modern age. One such creature inhabits the area of Wales in Great Britain, particularly the Ceredigion region in the late 18th Century. 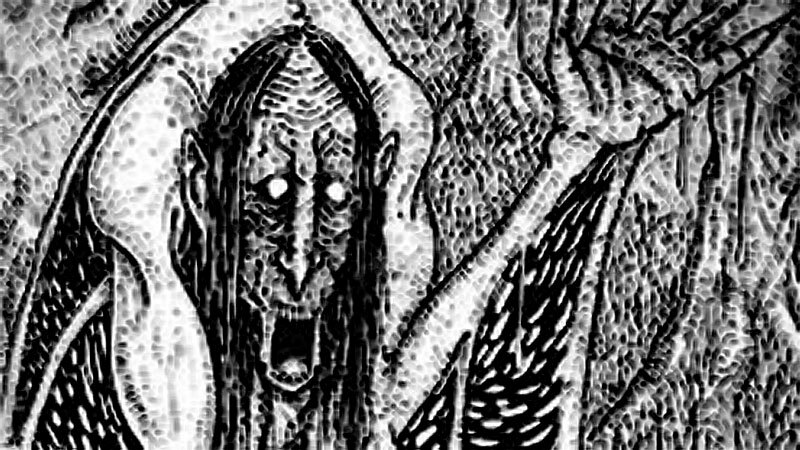 Known as Gwrach-y-Rhibyn, this humanoid creature is seen as being a thin female figure with dark, swarthy skin. She has long, black hair with sunken eyes, a crooked back, and long bat like wings. To many who cross her path, she is seen as an old hag with a mouth encrusted with dried blood exhibiting her feeding on human blood and a potential vampiric nature. Possessing an old appearance, the Gwrach-y-Rhibyn avoids physical contact with healthy adults, but chooses to prey on the young, elderly and infirmed. Common to the tales told of her, the one common way to free yourself from the Gwrach-y-Rhibyn is to use physical force further enhancing the belief that she preys on the weak and helpless. In recent year, Gwrach-y-Rhibyn has also taken on the nature and abilities of the banshee. People have claimed to have seen the Gwrach-y-Rhibyn flying low over strams and rivers wearing long, black robes mimicking the look of batlike wings. Scratches on a windowpane in the middle of the night are attributed to the Gwrach-y-Rhibyn searching for an easy meal. The Gwrach-y-Rhibyn also has a potential for benevolent good as it will warn pure Welsh families of impending doom. This trait earned it the name, “The Hag of the Warning”. To others it is viewed as a harbinger of death and destruction, similar to the Grim or Black Dog. Like the banshee, if the Gwrach-y-Rhibyn is foretelling a death, the name of the soon to be deceased will be audible in the shrill song she sings. In the late 1870s near Llandaff, Wales, an individual claimed to have seen the Gwrach-y-Rhibyn. He was woken in the middle of the night by a frightful screeching and window shaking., too strong to be from the wind. The witness jumped out of the bed, excited to see what the commotion was. Opening the window, the witness saw the monster for the first time. 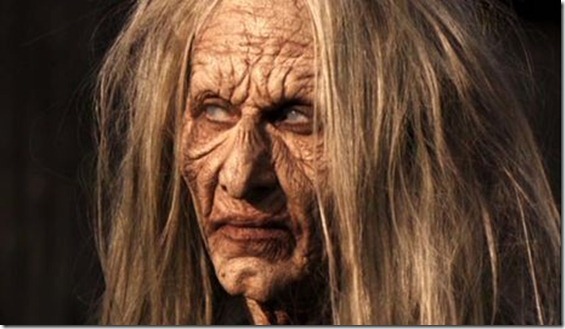 He described it as a horrible old woman with long red hair and white face. The demon resembled a child disrespecting their grandmother as the child had tusk-like teeth. As the witch soared through the air again warning of impending death.